Ever since Alexa Chung launched her namesake line earlier this year, we've been smitten with every design the quintessential fashion girl comes up with. While her pieces won't break the bank, per se, they can't exactly be described as cheap thrills. 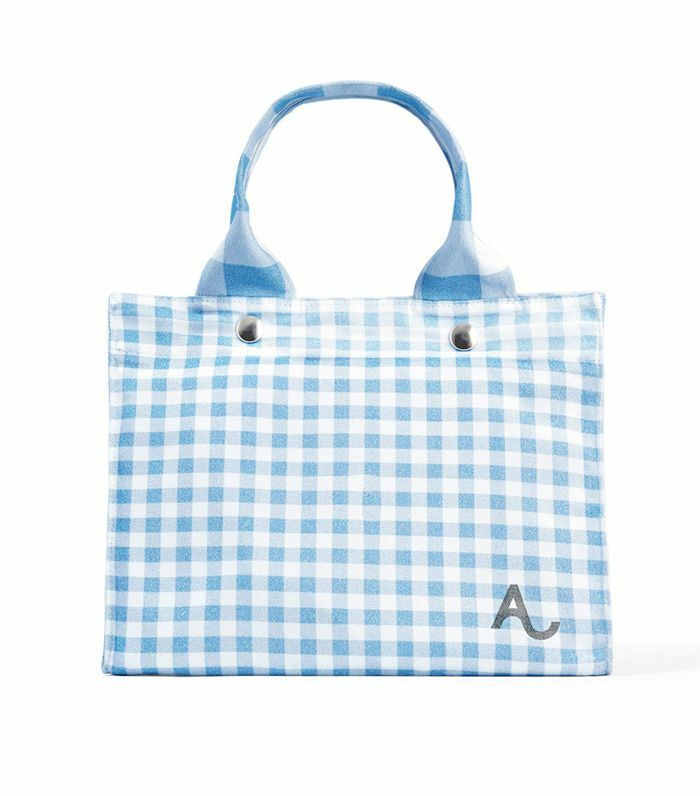 But much to our delight, Chung has designed a $30 gingham tote bag that you'll soon see on her arm (and likely on the arms of all her cool friends too). The 100% cotton bag was designed in partnership with American Express (in celebration of Small Business Saturday), and all proceeds benefit Sarabande Foundation, an organization that supports young designers established by Lee Alexander McQueen. So with a mere $30, not only do you get a cute Alexa Chung–designed future It bag, you get to support the education of gifted students who may not have the means otherwise. Keep scrolling to shop the $30 bag that will make you look good and feel good. Next, check out 11 classic bags that are worth the investment.